When it comes to influenza, we usually think of a patient’s age and/or co-morbidities (COPD, Asthma, pregnancy, etc.) as being predictive of increased odds of seeing severe disease, although with the 2009 H1N1 pandemic - and with several strains of avian flu (H5N1, H7N9) - we’ve seen young, otherwise healthy adults quickly overwhelmed by their infections. At the same time, despite millions of people visiting live bird markets in China each year, only a tiny handful appear to become infected with avian flu, and and even smaller percentage go on to develop severe disease. All of which has had scientists asking for several years whether there might be some kind of host genetic predisposition for contracting flu - or developing severe influenza disease - in some small percentage of the community. Previously we've looked at several genetic markers, including the Interferon-induced transmembrane protein 3 (IFITM3) protein, whose levels are controlled by the IFITM3 gene. In 2013 Nature Communications carried a study (Interferon-induced transmembrane protein-3 genetic variant rs12252-C is associated with severe influenza in Chinese individuals) that found that this SNP rs12252-C allele – while relatively rare in Caucasians, is much more common in Han Chinese. And again in 2013, in PNAS, we saw reseach that found IFITM3 CC gene variant (aka C/C Genotype) is linked to hypercytokinemia (aka a `Cytokine Storm’), and a severe outcome, in H7N9 infections. And just last year, in A Genetic Predisposition To Severe Flu Infection, we looked at study published in Science Express that identified yet another (rare) genetic marker - a mutation of the IRF7 gene - linked to a lack of interferon production which can lead to a more severe influenza infection. While this sort of research is still in its early stages, a genetic predisposition towards severe flu might explain a lot of things, including why we saw as much as a 30-fold difference in population mortality as the Spanish Flu traversed the globe in 1918. Adding to this growing field of research, today we have an open access study appearing in Nature's Scientific Reports, which compares the genetic profiles of 18 Chinese patients with severe H7N9 flu (6 with fatal outcomes) against a control database of 800 genetic profiles from across China. The upshot is they identified 21 genes that showed a high rate of mutation among infected patients when compared to the general population, including the IFITM3 gene we discussed earlier. Although many of you will want to read the whole report (warning: some parts are highly technical), I've reproduced the abstract and conclusion below. I'll have a bit more when you return. Influenza A (H7N9) virus induced high mortality since 2013. It is important to elucidate the potential genetic variations that contribute to virus infection susceptibilities. In order to identify genetic mutations that might increase host susceptibility to infection, we performed exon sequencing and validated the SNPS by Sanger sequencing on 18 H7N9 patients. Blood samples were collected from 18 confirmed H7N9 patients. The genomic DNA was captured with the Agilent SureSelect Human All Exon kit, sequenced on the Illumina Hiseq 2000, and the resulting data processed and annotated with Genome analysis Tool. SNPs were verified by independent Sanger sequencing. The DAVID database and the DAPPLE database were used to do bioinformatics analysis. Through exon sequencing and Sanger sequencing, we identified 21 genes that were highly associated with H7N9 influenza infection. Protein-protein interaction analysis showed that direct interactions among genetic products were significantly higher than expected (p = 0.004), and DAVID analysis confirmed the defense-related functions of these genes. Gene mutation profiles of survived and non-survived patients were similar, suggesting some of genes identified in this study may be associated with H7N9 influenza susceptibility. Host specific genetic determinants of disease severity identified by this approach may provide new targets for the treatment of H7N9 influenza. 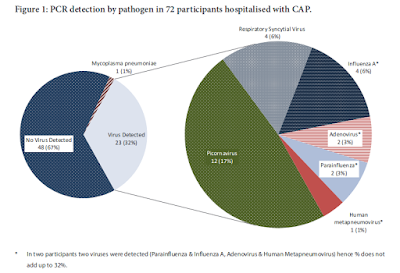 Using comparative genetic analysis in 18 patients with confirmed H7N9 viral infection in China, we identified 21 genetic mutations that occurred at a higher rate in infected patients when compared to the general population. Many of the identified genes are involved in key host defense mechanisms, which gives strong biologic plausibility to the role of these genes in both host susceptibility to infection as well as host immune response related pathology. Further investigations into the function of these genes in host susceptibility may help identify individuals who are at high risk for infection. In addition, translational research into the function of the genes identified in this study may provide new potential therapeutic targets for influenza virus infection. Fair or not, there are some people who seem to have a much easier time with influenza than others, and host genetics may play a role. Serological studies have shown that a high percentage (75%) of people who are infected with the flu either experience mild, or subclinical symptoms (see Lancet: Community Burden & Severity Of Seasonal And Pandemic Influenza). Last year in Study: Natural T Cell–mediated Protection against Seasonal and Pandemic Influenza we looked at research from the University College London that examined more than 1,400 Brits and discovered a high percentage of them (43%) carried a natural T-Cell that targeted the influenza virus nucleoprotein.